Casey Cox's DNA is all over the crime scene. There's no use talking to police; they've failed her abysmally before. She has to flee before she's arrested ... or worse. The truth doesn't matter anymore. Unraveling her past and the evidence that condemns her will take more time than he has, but as Dylan's damaged soul intersects with hers, he is faced with two choices: the girl who occupies his every thought is a psychopathic killer ... or a selfless hero. And the truth could be the most deadly weapon yet. 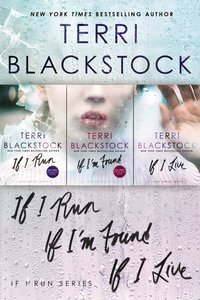 About "The If I Run Series (If I Run Series)"